WEDNESDAY, March 28, 2018 (HealthDay News) -- The United States is ill-prepared to handle the myriad medical emergencies that would be unleashed by a nuclear attack by terrorists, a special report warns. Instead, the absolute best strategy is to prevent such an attack from happening in the first place, said report author Dr. Robert Gale. He's a blood researcher with Imperial College London in the United Kingdom. "No one should have any fantasy we can mount an appropriate medical response" in the wake of nuclear terrorism, Gale said. Major nations have spent much time and toil preparing a response for potential attacks on nuclear power facilities, "dirty bombs" that spread radioactive material or improvised nuclear devices, he explained. They've also done a reasonably good job stockpiling reserve supplies that would be needed in the wake of a nuclear attack, Gale noted. But the massive panic caused by such a terrorist attack is more than likely to overwhelm efforts to treat the injured and prevent the spread of illness, he warned. "Planning for these kind of things is good and worthwhile, but frequently things don't play out as we have planned for them," Gale said. "These events can quickly spiral out of control. Prevention has got to be the primary focus." It's questionable whether most nations can even respond effectively to a nuclear accident, much less a deliberate act of nuclear terrorism, said Daniel Gerstein, a former acting undersecretary at the U.S. Department of Homeland Security. Gerstein pointed to the response to the 2011 Fukushima nuclear power plant disaster in Japan as an example. The plant melted down after it was hit by an earthquake-produced tsunami, and released radioactive material into the atmosphere and sea. During the response, doctors were uncertain how to treat or advise people potentially exposed to radiation, and weren't even sure where to direct their efforts because no one could track the path of the radioactive plume in real time, Gerstein said. "At one point, we actually steamed an aircraft carrier through a radioactive plume because we were not able to track it in real time," he said. "There are definitely gaps." The best strategy would be to step up security protecting nuclear materials throughout the world, Gale and Gerstein said. "Our policy is one that you try to stop these things from happening at the source," Gerstein said. "We want to ensure that nations who have this type of material for legitimate purposes do have protection around their nuclear power plants, for example, because once it becomes loose in the host nation it becomes harder to track and even harder still if it actually gets outside the country of origin." Beyond prevention, the best way to prepare for the possibility of nuclear terrorism is to have a frank education campaign regarding the risk of radiation, Gale said. Gale and Gerstein noted that in these attacks, the risk of radiation-caused illness is relatively low to the average person. There might be an increased risk of cancer long-term, but more people will die from any explosion related to the attack. According to Gale, the point of using nuclear weapons in such an attack would be to cause terror and panic, more than to kill people. "The radiological consequences are very modest, but because of a failure of people to understand that, the distraction and the disruption to society can be very substantial," Gale said. "Most of the loss of life from nuclear weapons has nothing to do with the fact that it's a nuclear weapon," he said. "But the minute you mention radiation people have a different response than when you're talking about a homemade bomb." 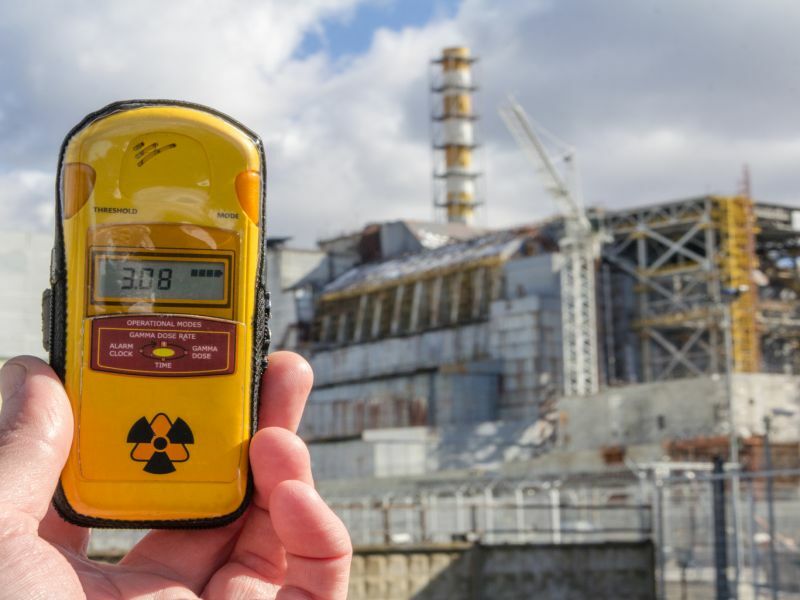 Education about the real risks of radiation and radioactive fallout should include politicians, people in decision-making positions, and the first responders who would be called upon during the emergency, Gale suggested. The public also should receive the same education to potentially lessen the panic and fear that would accompany a nuclear terrorist attack, and prevent some disruption to relief efforts, he said. The special report was published March 29 in the New England Journal of Medicine.